Checking of chemical balance & solutions to water chemistry. Chemicals checked each visit include: Total Chlorine, Free Chlorine, PH, Alkalinity, Phosphates, Cynaric Acid Level, Salt Levels, Calcium & Dissolved Solids. Check for proper operation of pumps, filter, heater, automatic cleaner, salt systems and all other important ????? Data will be compiled, archived and emailed to you in month-end pool summary. This removes any and all variables and guesswork to ensure the absolute best water chemistry and balance. This can replace our other "drop test" analysis on weekly basis at ???? Chemicals used vary dramatically from season to season due to usage, foliage, number of people swimming, animals, etc. 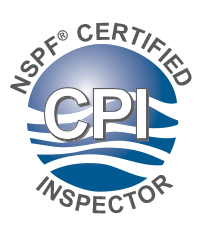 Given we are the only known service provider in the Dallas/Fort Worth area to include a digital water analysis on a monthly basis, you will know exactly what is required to maintain a healthy, clean and clear pool and be assured there is NO incentive to save operator money by skimping on needed chemicals. Chemicals are included in cost. Depending on the season, some pools require a twice-a-week service. For example, a pool surrounded by trees will require more ??? ?baskets, pump baskets, cleaners, pool surface and pool bottoms to be cleaned and netted in-between our normal weekly service. This can be done by you, the pool owner, or you can have us do it.